Our adventure begins in the elevator in the Mickey and Friends parking garage. 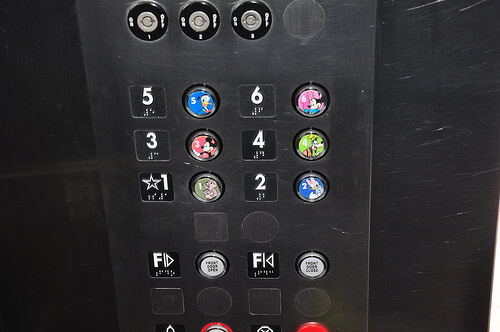 These elevator buttons are so cool. 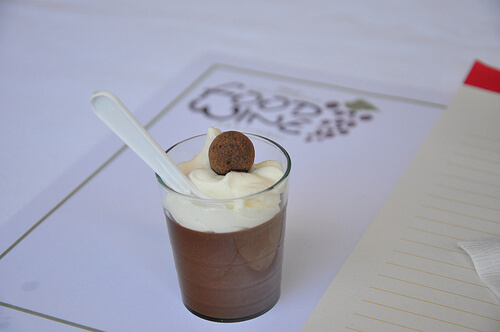 The California Food & Wine Festival is still going on at Disney's California Adventure. 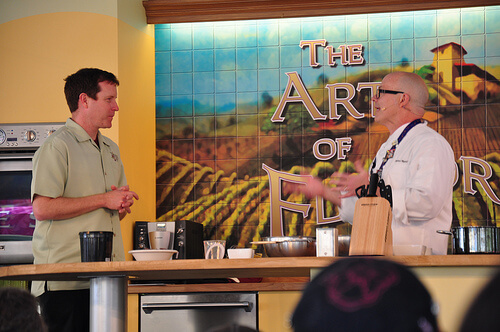 We were able to get into yet another free cooking demonstration by Richard Ruskell. The host is a local actor named Kevin Gregg. Usually, he's a cowboy in Frontierland. 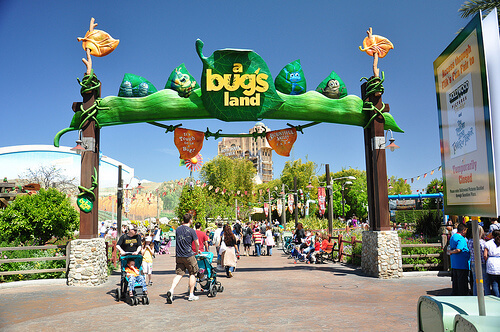 The sign on the right of this photo tells park guests that the temporary walkway between Flik's Fun Fair and Hollywood Pictures Backlot is temporarily closed. So is there a temporary path to temporarily detour around the other temporary walkway? I'm not sure the sign is necessary. 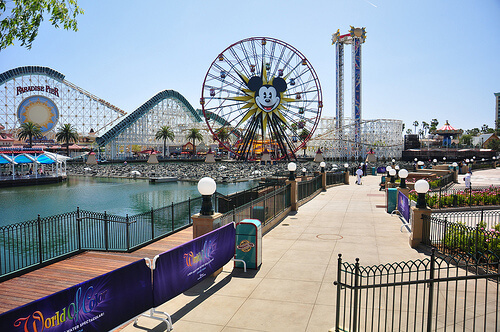 Here's a view of the newly-opened Paradise Park. I really love the music here - similar to Main Street USA. 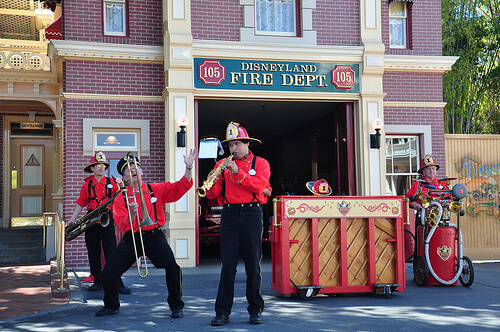 The Hook and Ladder band was very entertaining. The band leader commented on my brother's Pixar shirt (see photo above), assuming Josh works for Pixar. He then turned off his mic and said, "Thanks! 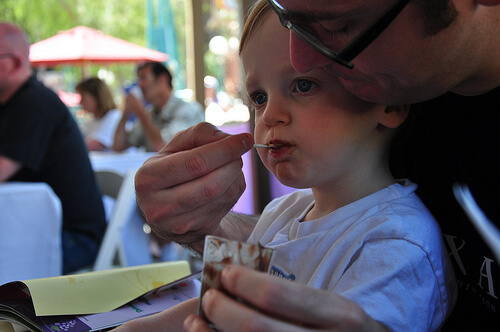 If it weren't for Pixar, Disney would have been out of business a long time ago." That brought a huge laugh from the crowd. 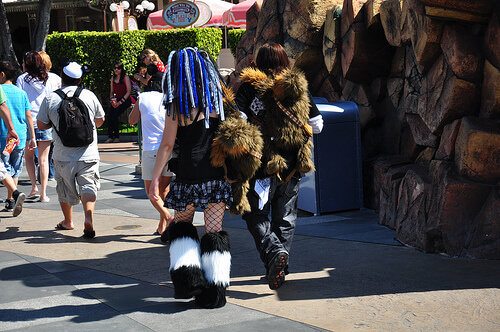 More interesting people entering Tomorrowland. Extras from Captain EO perhaps? 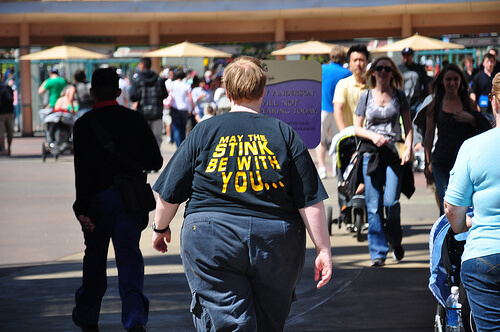 I always stop by Autopia to see my sister at work. Her name is Jenny and she's a model cast member. She loves making magic. Stop by and say hi if you're ever in Tomorrowland. 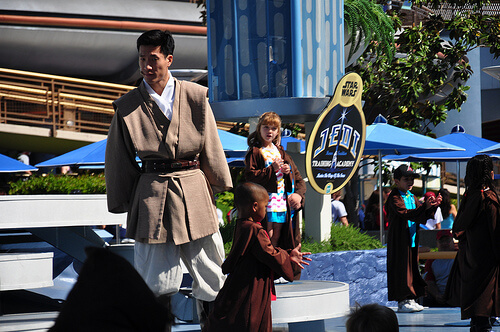 I love to watch the Jedi Training Academy, especially when this guy plays the Jedi Master. Not only does he do flips on stage, but he also has a quick wit that makes the show more entertaining for adults. In all my trips to Disneyland, I had never noticed this area. It is located between Tomorrowland and It's a Small World. I was suprised to find it ISN'T a smoking area - many shaded, quiet places are. I'd love to know what this was originally. A red-headed crescent monkey bird. Beautiful red eyes. 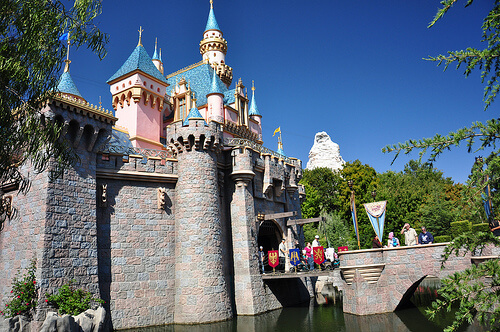 Here's one of my favorite views of Sleeping Beauty Castle. Sometimes you just have to stop and take it all in. 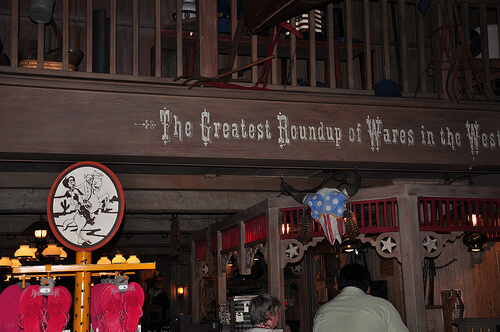 Over in Frontierland, exploring the shops reveals how each is unique. This is my favorite. 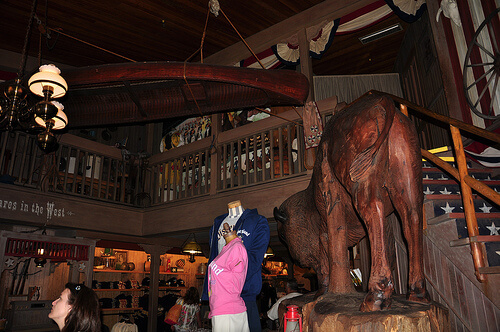 Check out the Pecos Bill. 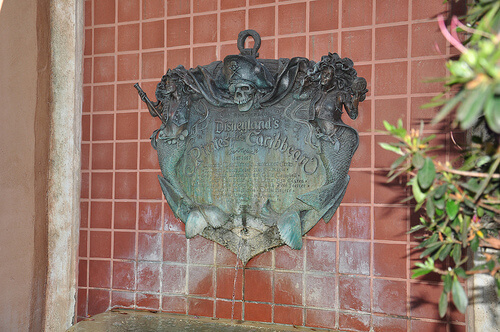 I had never looked closely at this Pirates of the Caribbean fountain/plaque before. Disneyland is just filled with details. So, how many of you really believed the bird pictured above is called a “red-headed crescent monkey bird”? Yeah, I figured most of you would. It’s actually Black Crown Night Herron. My cousin, a bird expert, tells me they eat baby ducks. 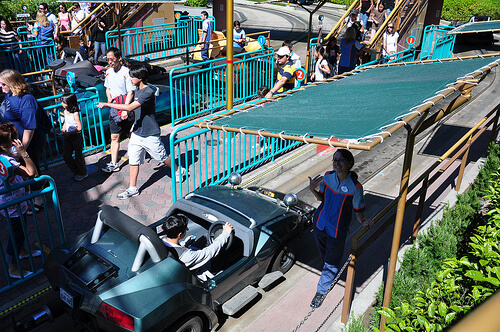 Let’s hope no park guests see that, especially after seeing this recent post on the official Disney Parks Blog. 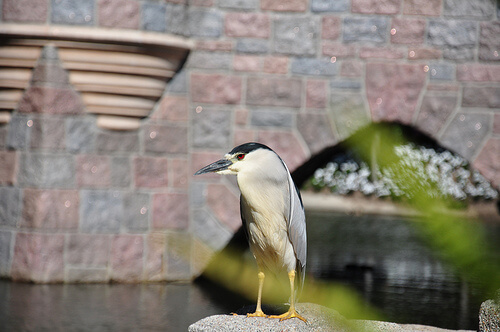 We hope you enjoyed this ParkSpotting tour through Disneyland Resort! 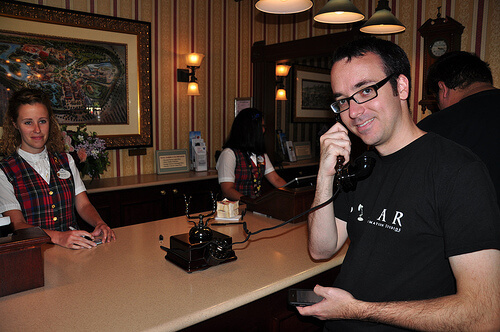 Next time, Ricky will take you on another trip through a Walt Disney World park. Jeremiah Daws and his brother Josh are theme park fans and filmmakers living the dream in California. Follow their adventures at DawsBrothers.com. That patio used to be the loading dock for the motor boat cruise. 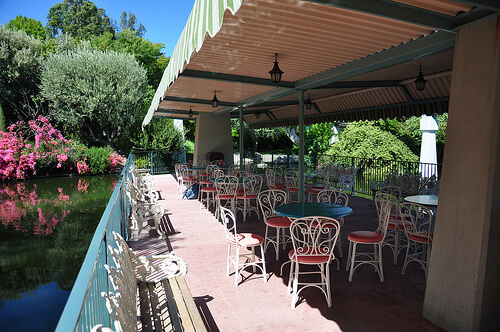 Everytime I go to disneyland I walk the whole patio remembering when I was 7 years old and my first trip to disneyland. Great new edition. 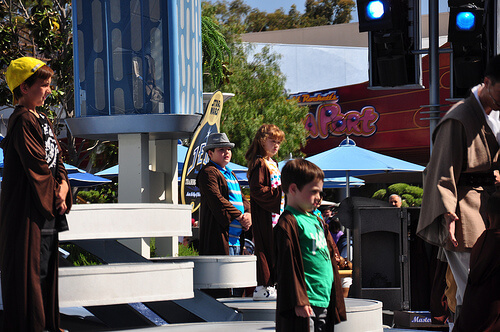 Glad to see some Disneyland stuff from the Daws Bros. Thanks Peter. We love sharing our experiences out here. We’ll keep it coming. The EO extras photo was just great thanks for another exciting ParkSpotting! Glad to do it, Bryan. Yes, that was the motor boat cruise dock, and until very recently it WAS being used as a smoking area. I’m so glad they stopped using it as a smoking area. Such a nice place to relax.